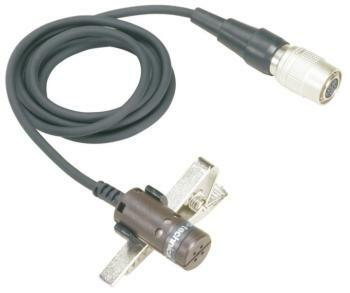 Audio-Technica Mini Cardioid Condenser Lavalier Microphone is terminated with locking 4-pin connector for A-T UniPak™ body-pack wireless transmitters. 55" (1.4 m) cable. 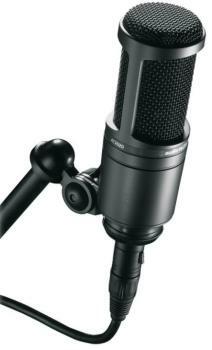 Cardioid condenser "Studio" mic. 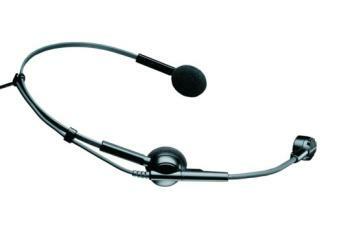 The price/performance standard in side-address condenser mics. Quality-built, consistent performance, a super value. Custom-engineered low-mass diaphragm. Cardioid element reduces pickup from sides and rear.